I totally know what you mean about not having enough time and yes, I get guilty about neglecting my blog even if it's just for a couple of days. Nice outfit, I like your furry boots! Uh, life. Life is boring. Dearest Vale, you have made my day and put the biggest smile on my face!!! I couldn't be more honoured by this award and especially that is coming from you -- someone that I admire, respect, and receive so much inspiration from. Thank you SO SO much... I will be displaying this in my next post, and adding it to my awards in the "press" tabs of my blog "pages." Thank you for your kind words as well, and how true my love for your country! Also, this outfit is beautiful. I'm especially smitten by those gorgeous boots... ahh so perfect and gorgeous with the way you styled them. Lastly, I didn't realize I need to fill something out for your giveaway...so I'm off to do it for sure! omg! In a woman's life a day should have at least 30hours, don't you agree? and such a great idea with the Cookie award! i totally agree, having a great blog does NOT mean having a ton of followers. ive seen blogs with 1000 followers and i just ask myself, why? and then i see blogs with 50 that are MUCH better and higher quality, and i think to myself that they definitely deserve more recognition. wooow...aren't you looking just oh so fierce in the snakeskin print and fur...niiice. I totally agree. There are not enough hours in the day! And since I blog on my own time after my full time job as well, there isn't much time to do anything else! The cookie award is also a great idea! and oh my gosh, oh my gosh, oh my gosh....THANK YOU SO MUCH for the award!! I am SO honored!! What a jam-packed schedule! How do you do it all and still look so good? I definitely know what you mean! You are amazing for being able to juggle it all! You look fantastic in these photos! wow you look fabulous my dear. tempo...pochissimo!!! mi riduco a dedicarmi alle faccende extra lavoro-casa-famiglia la sera, dopo aver messo a nanna la mia mini-donna, alle volte approfittando del fatto che il mio maritozzo il più delle volte torna tardi...però, quando riesco a fare tutto e BENE, mi sento stra-soddisfatta! BUONA GIORNATA! I love your dress, very beautiful! I often feel that there aren´t enough hours in my day. El problema con el tiempo es general, lo tenemos todas.A mi el blog me sirve un poco para desconectar de otras cosas así que de momento... aquí estoy. You look amazing, the dress is so so chic, and those boots are so hot. LOVE that fur trim coat!!! Looking glam as always! Even though I'm not working yet because I'm a high school student, I know perfectly what you're talking about. Sometimes I barely have time to do my homework and study, let alone blogging. I love this awesome dress. Snake print is gorgeous. The fur boots are stunning as well. I know exactly what you mean! Maybe we could work out how not to need sleep! I love your outfit - very chic! I know what you mean about there not being enough hours in a day! I wish days were longer because I often fall behind on a lot of tasks. I am a wife, mother, full time student and work on the weekends so it is hard to make time for leisurely activities. Also wanted to say thank you for stopping by my site. You look gorgeous!! I adore your coat! this is such a classy and chic dress LOVE it..
Love this post hun! love yah girl! i wish i had time to blog more too. Cute idea for a blog award! Im in love with your dress! Nice post. I feel the same.. I totally agree and was just telling my hubby I need more time to do all those things you have mentioned but my blogging time is so worth it, it's nice to know I am not alone. Now on to fashion.... love this look so sophisticated and the sunglasses love it!! Ciao ho scoperto per caso il tuo blog. Mi ha colpito molto quanto hai scritto. 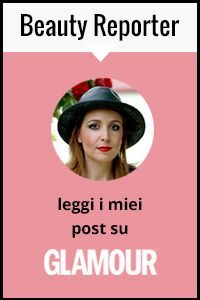 Mi piacerebbe che tu visitassi il mio blog . E' ancora in fase embrionale me cerco sempre di fare del mio meglio! what a super cool and lovely blog! Thanks for stopping by my blog; sorry it took me so long to come by yours - I had to take a break from blogging to deal with some family stuff. ANyways, I like your style and am now following :) Your short-sleeved jacket is the perfect finishing touch on your outfit. hi i am now your follower because i really like your style and blog! maybe you can follow me, too! Amazing post. I feel just like you. I feel like I never have enough time in a day to do anything. I don't know how you are able to squeeze everything in with your busy life. My life is barely as busy as yours yet somehow I can never fine enough time! The cookie blog away is really interested. Thank you for sharing such a great idea. Thanks for visiting my blog. Please drop again soon and follow when you have the chance. My dear how are you?